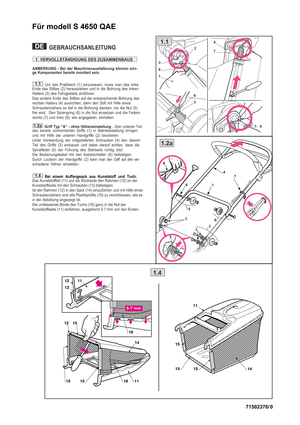 View the GGP Italy SPA Lawn Mower S 4650 QAE German Version Manual for free. All the GGP Italy SPA manuals and user’s guides are available for free view without any registration. You can also download the manual as PDF to your computer.